A missional turn in the Roman Catholic Church? The “New Evangelization” looks set to become a key catchphrase in RC circles in the future. The phrase was introduced and used extensively by John Paul II during his long pontificate as it was one of his ways of facing the effects of secularization in the Western World. Pope Benedict XVI has been consistently referring to the New Evangelization in his teaching, but in 2010 a new Pontifical Council for the New Evangelization was established as a way to formalize the emphasis he placed on it with the desire to spread it out long-term and world-wide. John Paul II had the vision and provided the language (coining a new Hollywood-style Marian title: Mary the “Star of the New Evangelization”!) but Benedict XVI is spelling out what that means . 3. After the Synod (perhaps one or two years later) the Pope will issue a Post-Synodal Exhortation which will be part of his magisterium. So both Lineamenta and Instrumentum Laboris are preliminary and provisional documents, whereby the final Exhortation has magisterial value. We are now in the Lineamenta phase. The 60-page text (in eight official languages) has been sent to Bishops and presented to the press. Its full official title is The New Evangelization for the Transmission of the Christian Faith. 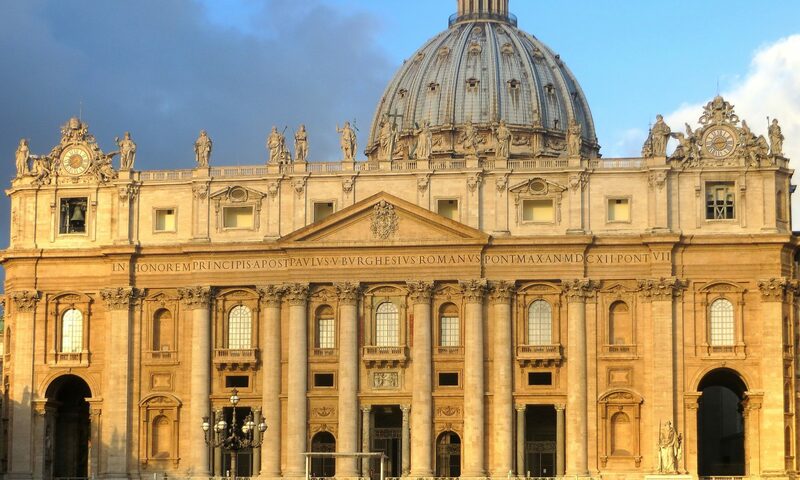 By November 2011 feedback will be gathered in order to draft the Instrumentum Laboris in time for the October 2012 Synod. What is the significance of the Lineamenta? There is one in particular. .
3. The “new” evangelization to the baptized, yet non-evangelized. It is clear that, whilst always connected to the first two applications, the “new” evangelization is specifically addressed to the people who are registered in the RC Church’s books in that there were baptized and are counted as Roman Catholics in official statistics, yet they are practically un-churched, spiritually pagan, in need to be regained to the Church, though they are sacramentally part of it. They are RCs in the cultural sense, yet you would not find them at the Sunday mass and they would have naïve beliefs and embarrassing lifestyles if measured by the RC Catechism. The New Evangelization is addressed to “nominal” Roman Catholics, though the word “nominal” is not used in the document. Recent global statistics say that the total number of Roman Catholics around the world is on the increase: in 2009 there were 1,181 billion people who have been baptized (1,3% more than 2008). Yet, these figures tell only half of the truth. The real concern for the RC Church is the increase of secularized Roman Catholics, especially in the Western World but also in parts of the Majority World. These people “belong” without “believing” (quite the opposite than in the Evangelical world where people may believe without belonging). The New Evangelization is the means by which they may belong and believe, being both quantitatively and qualitatively part of the RC Church. The other concern, especially in Latin America, is the loss of people who were baptized in the RC Church but are now affiliated to “sects” – a derogatory term that is also used to stigmatize Evangelicals. 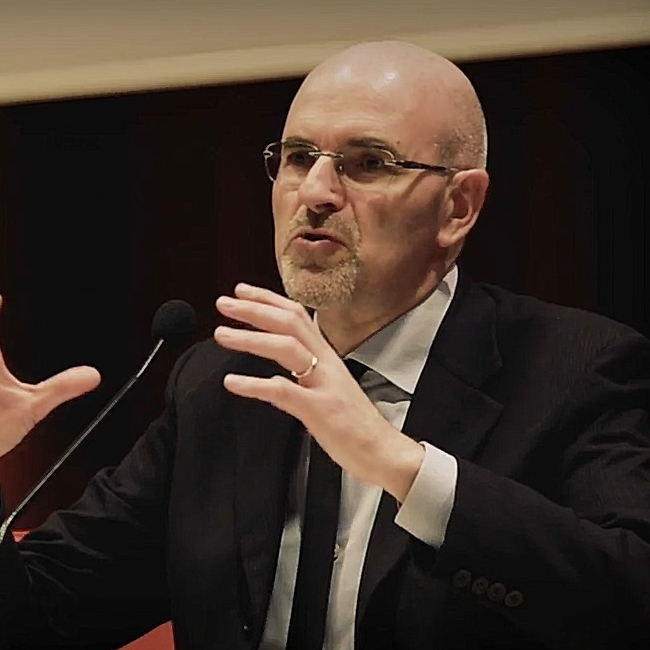 According to Lineamenta, the tools of the New Evangelization are two very traditional but well established patterns of spiritual formation: a renewed emphasis on catechism (i.e. transmitting the RC faith) and renewed efforts towards catechumenate (i.e. fostering discipleship). The New Evangelization is not primarily about mission to the unbelieving world. It is mainly addressed to reverse the tide within RC Christianity i.e. it is more of an internal affair, rather than a missional goal. Its task is to recapture to the Church those who have been baptized, perhaps christened, attend funerals and weddings, yet live lives which are alien to the standards of the RC Catechism. – is it baptism (whatever the theology behind it) or conversion the turning point for Christian life? – Do the pagan-Christians need just to be aware of who they are already or do they need conversion from idols to God? – Is church discipline a qualifying mark of the church or is it an optional add-on? We will see how the Synod responds. Will the New Evangelization be merely a pastoral initiative to bring people back, leaving everything else untouched, or will it be an opportunity to ask more fundamental questions about the church of Jesus Christ? 7. The Pauline Year. A More Pauline Church? The Roman Catholic Church is master at celebrating special years: the year of Jubilee, the Holy year, the Marian year, the Year for priests, etc. In a sense, every year is a “special” occasion for something. So it was with the Pauline Year (PY). Designed to celebrate the bimillennium of the birth of St Paul, which historians place between the years 7 and 10 AD, the PY included a series of liturgical, cultural and ecumenical events, as well as various pastoral and social initiatives, all inspired by Pauline spirituality. It took place between June 28th 2008 and June 29th 2009 and had as its center the Basilica of Saint Paul Outside the Walls (Rome). This massive Basilica was built by Emperor Constantine (IV century AD) over the burial place of the apostle Paul and is one of the four great Roman basilicas. The occasion to assess the outcomes of the PY was given by a 500-page book entitled L’anno paolino (The Pauline Year) that was officially presented in a press conference at the Vatican on February 9th. The book is a reference tool with all kinds of information on what took place during the PY. One of the chief aims that stirred Benedict XVI to proclaim the PY was to have a catalyst event that would foster the ecumenical cause on behalf of Christian unity. Since Paul is a central figure for both Eastern and Western sides of the church, the idea to celebrate a Pauline year took shape. Particular attention was given to ecumenical gatherings that would re-invigorate Christian unity on the basis of a common and renewed appreciation of Paul. For Eastern Orthodox churches, the PY was meant to highlight Paul’s missions to the East and the great legacy of his teachings about the “mystery” of the faith. Solemn events and liturgies were performed during the year, even though the success has been mainly symbolic. No real breakthrough was achieved in the name of Paul as far as the Eastern front of RC ecumenism. For Protestant churches, the PY was crafted to underline the importance of justification by faith and other Pauline themes dear to Protestant hearts. The hope was to give another chance to the 1999 Joint Declaration between Roman Catholics and Lutherans on justification which promises much (i.e. agreement on the basics of the Gospel) yet is delivering very little in terms of a deepened Christian unity. During the PY, divisions over gay unions and how to respond to the challenges of secular culture further divided the relationship between historic Protestants and the RC Church. On the whole, the PY was wishful thinking as far as ecumenism is concerned. In theory it was a great idea (though quite unsubstantiated historically), but in reality it was quite the flop. Apart from ecumenical analyses, another feature of this special year is worth mentioning. The ambitious program desired to honor the great themes of Paul’s letters: creation, sin, salvation, grace, faith, and mission. Pauline scholarship afforded the chance to produce books and convene conferences. Opportunities were created to read Paul afresh or, for most people, to read him for the first time. All this is welcome, yet it is interesting to note how Benedict XVI closed the PY. In a solemn liturgy the Pope announced a recent discovery. In the marble sarcophagus in which according to tradition Paul’s body was buried, bones of a skeleton dating to the first century AD had been found and analyzed. It is possible that these skeletal remains belong to the Apostle Paul, though no certainty can be established. The point of the Pope’s announcement was to state that these relics were going to be displayed for public veneration. While underlining great Pauline and Biblical themes such as salvation and grace, and faith and mission, the PY encouraged at the same time practices that are far from Pauline and Biblical spirituality. Paul himself wrote that the “living letter” of his service are living men and women who follow his teaching (2 Corinthians 3:2-3), rather than his dry bones calling people to bow down before them. These comments generate a fundamental question: How is it possible to combine Paul and the veneration of relics? How is it feasible to square the spirituality of justification by faith and the cult of the dead? How is it legitimate to nurture a Christ-centered life and folk-religion practices? 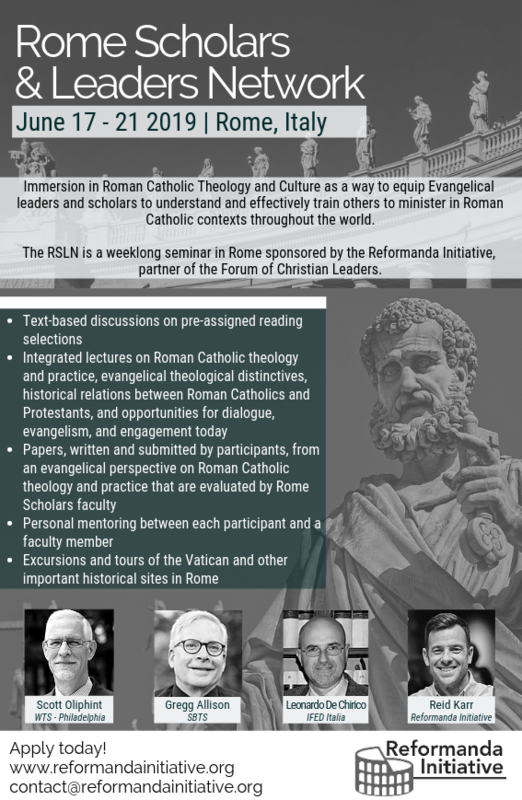 How is it possible to produce fine Pauline scholarship while fostering anti-Pauline habits? In fact for the RC Church not only is it possible, but it’s also mandatory. The RC worldview demands complexio oppositorum (the combination of the opposites) as its paradigm without having Scripture alone as its decisive criterion. The issue at stake is not questioning the Pauline nature of the RC Church. In a sense, the RC Church is a Pauline church. The issue is that, besides the Pauline element, the RC Church is also Petrine, Marian, Papal, Imperial, Roman, Tridentine, folk-oriented, etc. Pauline teaching is only one aspect of the whole and the whole goes far beyond the other canonical strands of the Bible. It is a “catholic” whole in the sense that it wishes to embrace all. The standing question is whether or not the PY was an opportunity to return to the Gospel or a chance to expand Roman catholicity. The latter is closer to the truth.